ITEC & GTC Diploma in Anatomy & Physiology. ITEC Certificate in Client Care, Professional Conduct & Business Awareness. If you hold previous relevant ITEC qualifications you may be exempt from certain modules. You will grow throughout the year in your knowledge and understanding of Reiki as we progress through the different Reiki levels. This will be achieved by constantly building on your experience and practice of Reiki within the learning environment and your practice at home. This Reiki training is taught with a firm basis in a spiritual perspective throughout and we will practice and build on meditation and energy awareness. Explanation of Attunement/initiation process & traditional Reiki attunements into first, second and third level . Understanding of what energy is and how it works in healing and in our everyday lives. Explanation of the energetic systems of the body including the aura, charka's. Sharing of experiences of Attunement/initiations, practicing Reiki and questions arising. Practice of giving Reiki for self-healing, family, friends, clients, short and long treatments, chair treatment, and a couch/bed treatment. 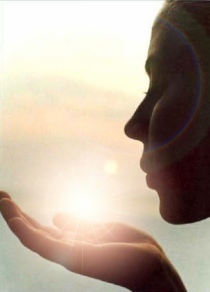 Each student will experience giving and receiving Reiki and doing self Reiki throughout the course. Teaching and practice of reiki hand position for self-healing, chair treatment, and lying on a plinth while using the symbols. Each student to practice giving and receiving Reiki incorporating the use of the reiki symbols. 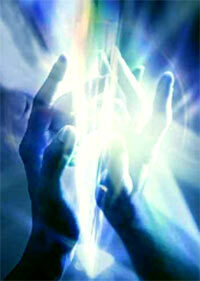 Practice and teaching of distant & absent Reiki healing using the symbols. Practice and teaching of using the Reiki symbols in the student’s everyday life. Teaching the importance of personal energy management, protection, self-care and well-being while giving and receiving Reiki and in your everyday life. Teaching of the Traditional Master Symbols and uses. Advanced set of hand positions working the meridian and touch point centers leading to a more involved and deeper way of working for the practitioner. (Unique to Reiki Ireland). Opportunities to share workshop experience. Case Studies and the keeping of client records and treatments. In-depth training, teaching and understanding of the systems of the body. Relating Reiki to your knowledge of Anatomy & Physiology. Learning how to work with clients, creating a safe healing space, meeting the client’s needs, communication skills, personal well being while working with clients, palliative care, clients with special needs, referral procedures etc. Business Practice: Exploring the different types of business, operating as a sole trader or an employer, health & safety, hygiene, insurance, marketing, special requirements, networking, communication, marketing literature, developing your relationship with other therapists, professional associations. Being in business: Insurance and legal considerations, record keeping, marketing, therapist boundaries and capabilities – not counselling. Students will become aware of energy and how it works in our everyday life, the philosophy’s and practices of working as an energetic practitioner. Please Note Certificates will be awarded together only when all modules are completed. The compulsory modules for this Diploma (unless exempt) are Reiki , Professional Conduct & Business Awareness, College Assignments and Energy Management. Certificates will be awarded when all modules are successfully completed. • The course can be paid for in monthly installments. € 1,495.00 per year + Examination fee: €180.00, = total of €1675.00 which can be paid in monthly installments. Please note that Learners must attend all the modules unless a previous recognized qualification in a particular module is held. ITEC teach traditional reiki so your previous levels must have been at least 14 hours each usually over two days. Majella is your Reiki teacher and has been working with Reiki for over fifteen years and is an inspiring and dedicated teacher in the field of Reiki. Majella is one of the first people in the country to bring the Reiki training to a deeper professional levels in the quality of the teaching, the hours of training, in the spiritual perspective and in the practical study and reiki practice and has been teaching the reiki Practitioner standards for many years that are only now being brought in by current associations and federations. Majella has been training students and working with clients on a full time basis in Reiki for over 25 years and is extremely experienced. Majella was among the group of people that originally founded Reiki Federation Ireland. She served on the committee for five years and wrote the original practitioner module. Traditional Tibetan Reiki Master Teacher Practitioner, Seichem Reiki Master Teacher Practitioner, Sekhem Reiki Practitioner, Tai-Chi/ Chi-Gung, Kinesiology. NUI Maynooth Certificate in Counselling skills and Certificate in Teaching Adult Education. Majella has studied Psychology at University level to included Psychology Overview, Child Development, Biology & The Brain, Social Psychology and Cognitive Psychology, Social Psychology. Majella holds and teaches qualifications in many holistic therapies such as Reflexology, Massage, Indian Head Massage, Hot Stone Massage, Crystal Healing, Lomi-Lomi Practitioner and teacher. Shamanic Healing, Ear Candling. Majella holds the NUI Certificate in Adult Education, ITEC Diploma in Lecturing, City & Guilds Diploma in Lecturing and is a member of the teaching council of Ireland. She is an experienced teacher who has lectured at O’Fiaich’s College of Education for ten years and currently examines the programme's she developed and certifies the Certificates in Indian Head Massage and Reiki level one, level two and level three Practitioners at O’Fiaich’s. Majella has taught QQI Level 6 Child Psychology, QQI Level 6 Child Development, QQI Level 5 Developmental Human Psychology at O'Fiaich government educational institute. Majella holds the Diana Cooper teaching Angels qualification. She is a member of the teaching council of Ireland. This ITEC reiki qualification is the only government educational recognized professional reiki qualification in Europe and until recently the world. The only other country to offer an equivalent is Australia. ITEC is mapped upon the European national educational framework and Irish educational framework - it makes your reiki qualification much more valid and brings you to the true spiritual side of traditional reiki! The only reiki qualification that is mapped academically onto the European national framework! You can take Anatomy at a location nearer to you or online if that suits better if you are travelling a long distance. You will take the examination at Green Tara. Please ensure the course is pre-approved by Green Tara. 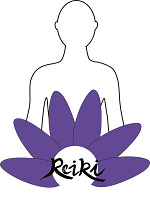 We highly recommend the reiki share where we can offer on going teaching and support, it is first Thursday of every month from 7.30pm-9.30pm. It is an extra option. Booking- How do I book a place? 1) Post: You may post payments to our office. 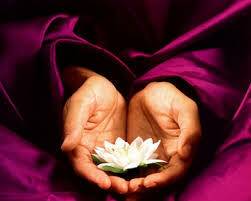 We are dedicated to the authenticity and sacredness of Reiki!